Canvas Panel 8X10Cm W/Easel. 8 x 10cm l Thickness: 3mm l Easel: 14(H) x 12(W)cm. Off White. 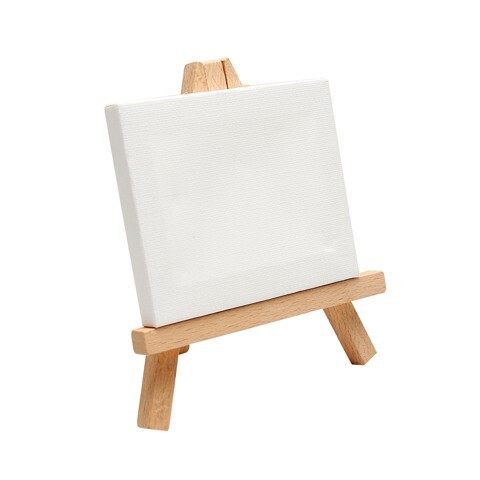 280gsm Canvas + Wooden Easel. 0 Packaging: Shrink Wrap with Colour Label.